Asking this question is like asking. 'Can my using a CFL bulb save the planet?'. You know it's literally not true, but you still do it, because you know. You know that whatever little you do can do its part in creating an impact. You know you can influence your friends and neighbours, and they in turn, theirs. That's how it works, but only when we are truly dedicated to doing something as important as saving the planet. But the sad thing is that we are only looking at the filth in our oceans. While we need to make this earth cleaner, there is another kind of filth we need to address. It's the filth of crimes against humanity. It's not just about terrorism, but the crimes that happen in our neighbourhoods, which make us shake our heads in disbelief. How can compassion change that? Isn't that filth entrenched in these sick people's minds? Maybe. But how did those people turn out that way? In my mind, there's just one answer - they didn't get enough love, so they stopped giving it back. They stopped caring for others. 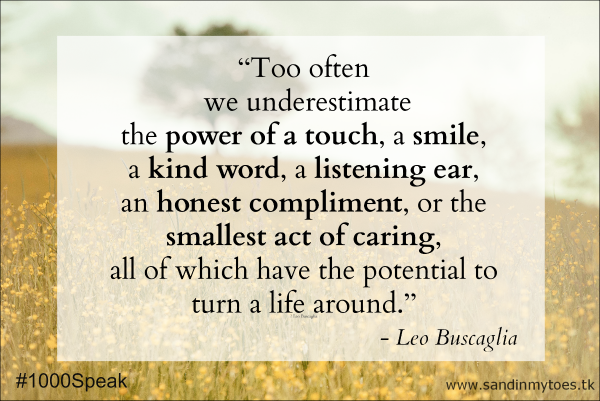 So, what can a single act of kindness do? It can make the world a better place. Because, when you are kind, you pass on kindness to others, and compel them to be positive and give it forward. When we all do this often enough, we will not only feel better, but will make others feel better about themselves too. And that's what we need more of - happy people. A movement called #1000Speak has taken root. 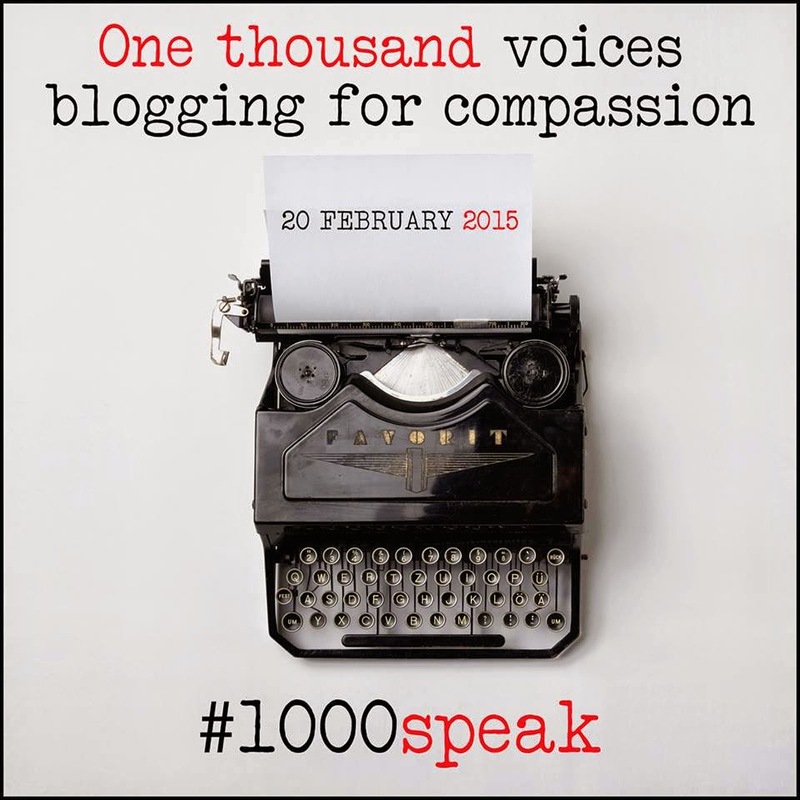 On February 20, one thousand (and more) bloggers will come together and write about compassion. You can join in this movement too, whether you are a blogger or not, and spread the word on compassion through social media. Find more details on the #1000Speak for Compassion blog, and join the Facebook group if you'd like to join in. I completely agree with you, Tarana. By talking about compassion and bringing more awareness to the concept, we'll instill it in our minds a little deeper and hopefully continue acting with compassion more often. And I really like the Leo Buscaglia quote you included. Any idea what you might blog about on the 20th? I'm doing #1000Speak as well, so that's how I found out about your article. Thanks Sara! I'm probably going to try and think of a story on compassion.